Christmas is just around the corner. Which is an excellent reason to make a small review of all the related effects on Pho.to. There are so many of them, that it’s quite easy to get lost – especially if you try to pick the templates for your best buddies in the last-minute rush. Most people seem to enjoy procrastination, waiting for the last minute to come (and sometimes we are not an exception), so we believe that this guide to holiday effects will come in handy, helping you find perfect effect for any person and create a unique greeting cards in no time. If you can make no mistake choose variants that are most common (and thus most probably be appreciated by 80% of people) for Christmas time. The signs of such templates are festive attributes: green tree, baubles, candles, bows, and certainly Santa. Click for more effects and more fun! 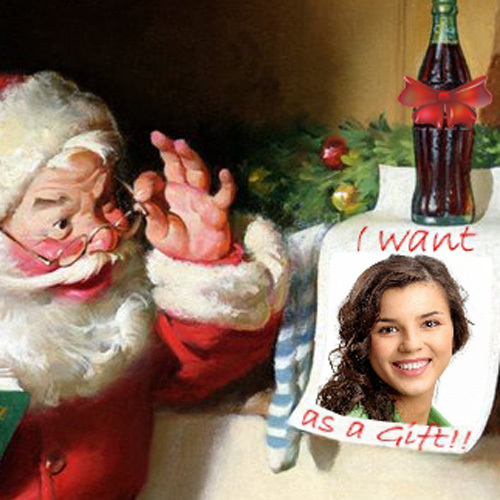 It’s time to unpack your Santa Claus suit, put up holiday decorations and wrap presents for the dear ones. And it’s time to make annual Christmas photos! If you’ve got an Android phone, we have good news for you. 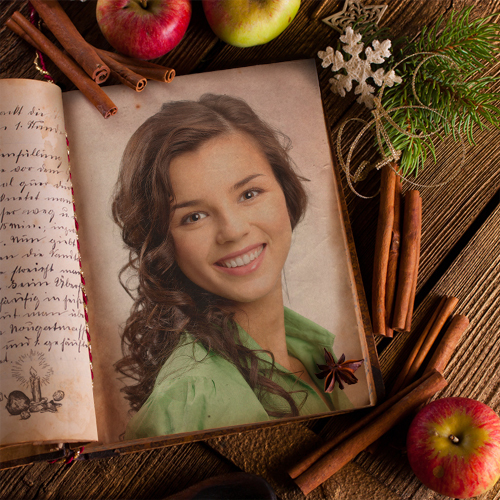 We have updated Christmas Photo Frames app, so this year your pictures will look stunning. 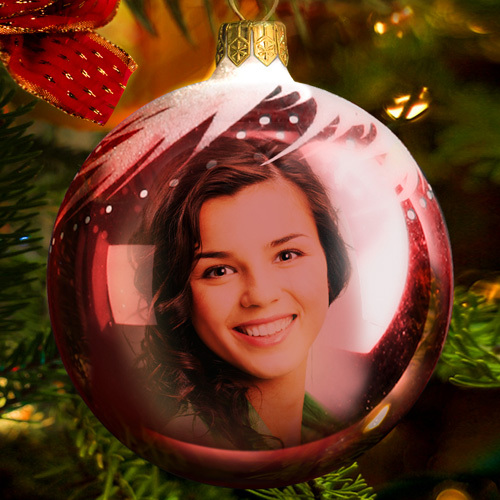 Get the new Christmas Photo Frames now and you’ll get the new effects! You’ll love ‘Christmas Joy’, ‘Snow Effect’, ‘White Rabbit’ and the rest of them. And if you’re into making calendars with your photos, you’ll notice that we have updated our calendar template for 2014. 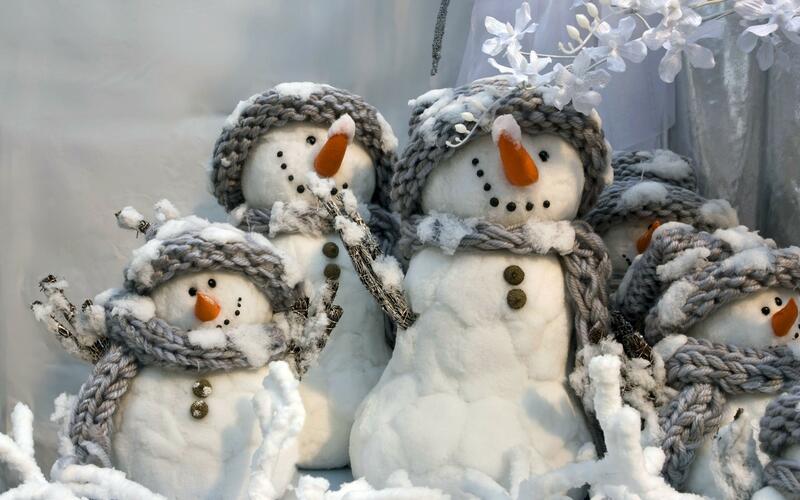 Have a merry Christmas, a happy New Year, and beautiful photos this winter! Every time we introduce a new version of any product we hope that you will find it as good and usable as we meant it to be. Today’s review is devoted to Pho.to Lab for iPhone/iPad, recently updated to version 2.1. This new release is inspired by approaching Christmas days and adapted to cover your possible holiday needs for festive effects and templates. First things first. 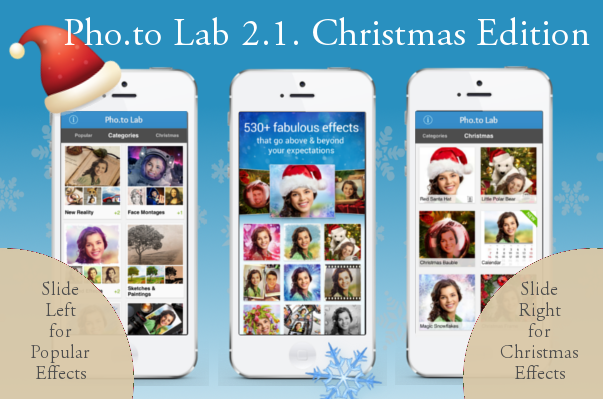 This update comes with new sliding tabs on the home screen for quick access to favorite and holiday effects. 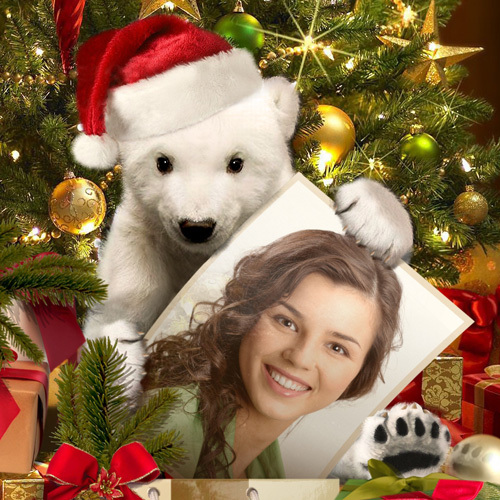 Slide left to see most popular effects or slide right to see the best Christmas frames and filters. What do you know about silhouette photography? Silhouettes definitely add a sense of mystery and intrigue to any image, so pictures with silhouettes always look very eye-catching. 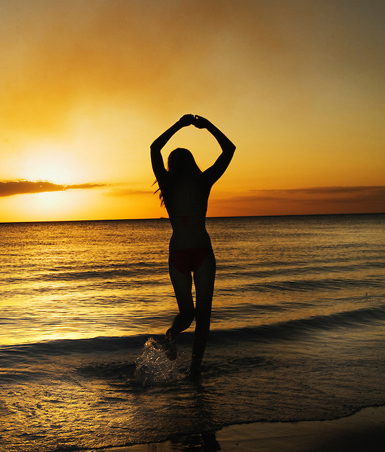 Do you think silhouette photos are tricky and complex to capture? They are actually not! 1. Get the right light! Obviously, silhouette photos are all about back lighting. 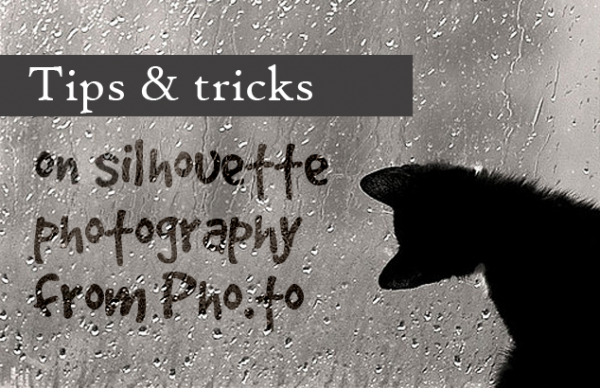 In other words, silhouette photography requires that back lighting is used. That is, the subject should always be between the photographer and the light source. How does that work? The basic idea is that the light coming from behind should be bright enough to make the silhouette completely black.